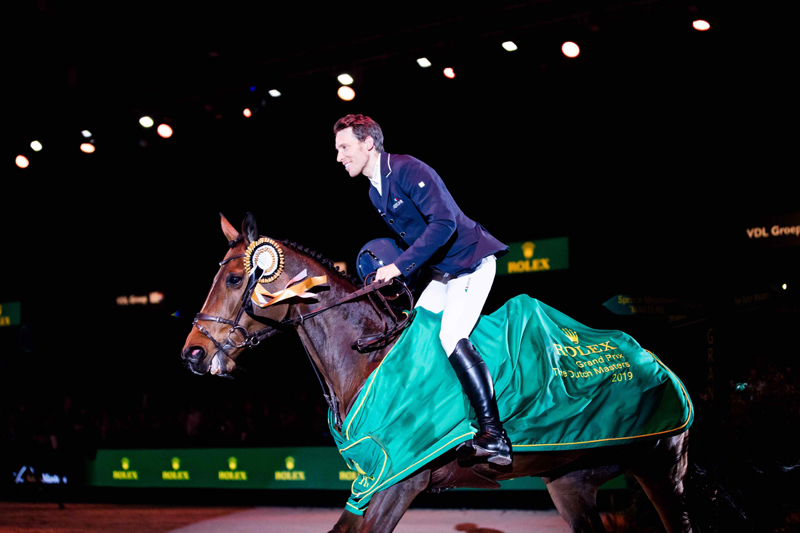 Sweden’s Henrik von Eckermann and Toveks Mary Lou, took the top spot in the Rolex Grand Prix at The Dutch Masters. Rolex Testimonee, Steve Guerdat (SUI) secured the first double clear after producing a series of thrilling turns to shave seconds off the clock. Many thought he could not be caught but it was clear from the outset that Sweden’s Henrik von Eckermann only had winning on his mind. Together with his 13-year-old bay mare, Toveks Mary Lou, the pair crossed the finish just 0.63 seconds faster than Guerdat to clinch the prestigious Rolex Grand Prix title and become the new Rolex Grand Slam live contender.